It’s been a strange two weeks in Israel, clearly the most important news has been happening abroad and not here. That is frankly very nice. Of course the news abroad been either bad or very strange. Bad of course, is the repeated terror attacks. As I have written before my fear is there are no solutions at least any time soon. It’s the fear of terror that might bring the far right to power in Europe, and it’s the fear of terror that might further destroy the European Union, and it is the fear of terror that might bring Donald Trump to the White House. The Donald Trump story is the strangest, the fact that he is the nominee of the Republican party is astounding, and frankly the fact that I know people who are actually thinking of voting for him is even more astounding to me. To me the policies that Presidents come to office with is not of great consequence. I wrote biographies of both FDR and JFK and what made them both in my opinion great Presidents, was two things, the first and most important their ability to analyze new situations, draw on both their own knowledge and that of their advisors as well to come up with the best solution to the problem. Does anyone truly believe that Trump is capable of that? There is nothing in his history that would show him qualified to be President, and just the opposite it’s unbelievable that his actions and statements have not disqualified him to date to run and be taken seriously. But I guess these are not normal times, and the hatred that has been directed at Hilary is not normal hatred. I hear from people she is a liar, but than hear they are going to vote for Trump who by all accounts does not even know the difference between the two. Furthermore, while people may or may not like the expected policies that Secretary Clinton might bring to the Presidency, at least we can anticipate what they are going to be. When it come to Trump it’s completely unknown. The world is fragile place at the moment, what it does not need is a “bull in a china shop” which in the best case will be what Trump will be. The second trait that FDR, JFK and for the matter Reagan shared was a fundamental belief in the greatness of America- something they do not seem to share with Trump. This week with a little less controversy, the Knesset under the prodding of the government passed two laws that the Charedim (Ultra Orthodox) demanded. The first barred Conservative and Reform Jews from using public mikve ( ritual baths)for conversions. The second removing the requirement from Ultra Orthodox schools that receive government funds from teaching Math and English. One thing became perfectly clear this week, this government is so dependent on the Ultra Orthodox that even if its decision have a strong negative impact on relations with diaspora Jewry they will give in to their demands. 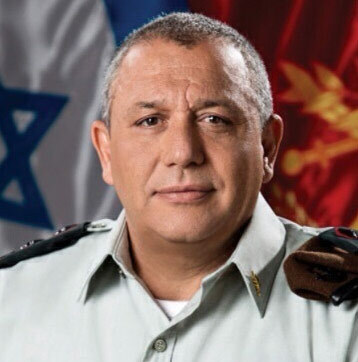 A final note, this week while testifying in the Knesset Army Chief of Staff Gadi Eizenkot stated that the greatest threat the IDF faces is not from external threats, but by elements of the Israeli society that seem to be trying to delegitimize the IDF. I guess those of us who have studied history should not be surprised. Compared to even one day of World War II, the terrible terror attacks of the last month simply pale in comparison. That is without even taking in account the Holocaust – just accounting for the shear number of battlefield deaths, deaths from bombings and other violence. I guess we somehow believed the world was beyond that. For those of us who grew up in the 60’s the fear of nuclear annihilation was ever present, and yet abstract. It was nothing like seeing a truck mowing down dozens and dozens of people. Of course, to some extent, those of us who live in Israel are used to such terrible events. But, as I have written before, though nothing justifies acts of terror, at we least understand why they do what they do. It seems much harder to understand how a Muslim resident of France can just murder so many people in cold blood; murder so many children. I see people on Twitter saying the Nice attack just proves we have to fight terror even harder. But what does that mean? What can we do? There are one billion Muslims in the world – and only a very very small percentage of them are potential terrorists. That being said, even a small percentage of 1 billion is a very big number. Unfortunately, there is no supreme authority in the Muslim world who can make it clear that “Thou Shalt Not Kill” is a supreme commandment. So what is the alternative? The Western World is in for difficult times. The line between the right to be free to say whatever one wishes and/or believe whatever we wishes is colliding with our collective right to live in safety. I fear there will be no choice, but to further impinge on all of our civil rights in order to successfully fight against terror. However, even then, in a world where communication is instant and constant how do you stop hate from seeping in? How do you stop words of incitement from reaching those who are susceptible to it? I wish I had an answer, but I am clueless. Originally this whole post was going to be all about Rabbi Haskel Lookstein and the unwillingness of the Israel Rabbinate to accept his conversion. I have known Rabbi Lookstein for 46 years, since I was a freshman at Ramaz. When I first met Rabbi Lookstein he was a young rabbi starting to take over the helm from his father who had founded Ramaz, and was the firebrand of the Orthodox community. Over the years, I worked with Rabbi Lookstein on a few projects in the world of Soviet Jewry and Jewish communal affairs (most of which took place almost 30 years ago.) As the principal of my high school; later, as the high school my oldest daughter attended, I always held him in esteem. To be truthful I was not shocked that the Rabbinic Court in Petah Tikvah did not accept Rabbi Lookstein’s conversion – Not because there was anything questionable about it; and not due to any doubt that Rabbi Lookstein is anything but a fully practicing Orthodox Rabbi. Rather, because Rabbi Lookstein has always been identified with the more progressive elements of the Orthodox community; which is the polar opposite of the stilted, backward, 18th century rabbis who run the Rabbinic Courts in this country. Needless to say, everyone in the organized Jewish community was outraged. Natan Sharanskly issued a statement, UJA/ Federation did the same. However, it’s really for naught. The political realities of this country are that Netanyahu prefers the ultra-Orthodox over everyone else as his coalition partner. Therefore, Netanyahu will never do anything to upset that apple cart. Even the “firebrand fighter” of the ultra-Orthodox, Yair Lapid has said he will no longer fight them, (after realizing he will never become Prime Minister if they opposes him.) If American Jews truly care about these issues, it is time for them to rethink their relationship with Israel and find ways to pressure this, or future Israeli governments in ways that would truly be effective. 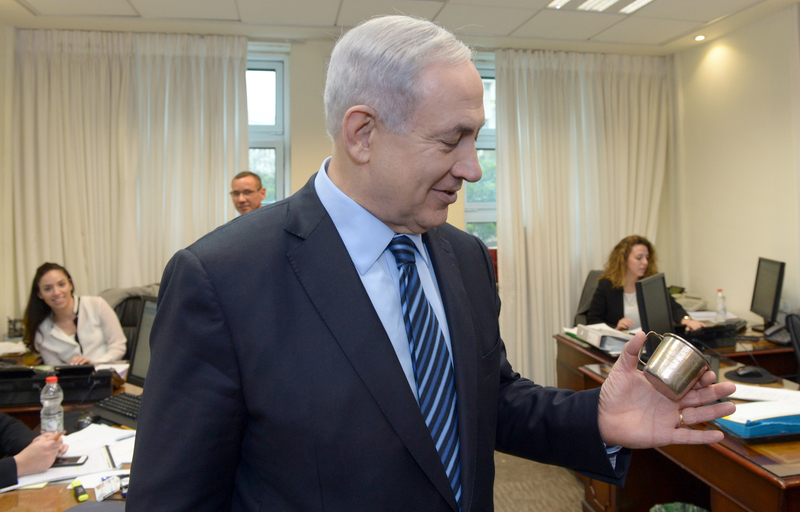 One last word … The latest investigations surrounding Prime Minister Netanyahu seem to be getting very serious. The situation will become clearer in the coming days. It has been a quiet week in Israel- its about time. I wish I could say the same for the rest of the world and certainly for the rest of the Middle East. Last nights shooting in Dallas was just another terrible event in a string of horrific events. Most of those events of course occurred in the Middle East and South Asia mostly the doing of ISIS. The terror attacks in Istanbul, Lahore and Baghdad were particularly brutal and the death toll is hard to imagine. They do not get the press that attacks in Paris or Brussels get but for those who are victims the results as ever as devastating. To me the events of the past few weeks have been particularly depressing, in some ways more so than attacks that take place here. When there is a terror attack here we can always rationalize it and say that if only.,.. If we were not occupying them .… However, when we see Muslim killing other Muslims or just killing westerners who are visiting Muslim country it certainly undermines those thoughts. These past few days the concerns that I have always had as to whether it would ever be possible to reach a peace agreement have strengthened. Will the Palestinians ever be willing to finally accept the division of the land. My fear is even if we were to reach an agreement with some entity representing the Palestinian people, there will always be those who will never accept it, and will be willing to blow themselves and some of us up to stop it. Can people who find it is unacceptable for a non Muslim to have dinner in a restaurant in Lahore ever accept the our presence in the midst of the Muslim world? Forty years ago while in the army I met a soldier whose Father had fought in Israel’s War of Independence. I vowed than that I would do all I could to make sure that my children would not have to serve. Well two have already served and my youngest this week had his first call up notice- pre induction exams. Like any Israeli parent the moment is alway a combination of pride and dread. Pride since my son like all those who went before him is ready to do his service. Dread because the idea of having another child don a uniform is simply frighting. Its been 40 year and so little has changed. We are a richer, more developed society, but no more secure than we were back then. Our enemies are diminished, but the lethality of new weapons have given unconventional armies capabilities far beyond what they had in the past. It’s depressing. On a totally other note- Former Minister of Finance and leader of the Yesh Atid party caused a small firestorm in Israel today when he criticized the appointment of Noa Landau as the new English editor of Ha’aretz. He criticized her because her significant other (not sure if its her husband) is very involved in Breaking the Silence. 55Lapid has had an active campaign against breaking the silence these past few weeks, as part of his campaign to show that his heart is in the right. The firestorm that he rightly created was from the sexism shown by saying that a persons suitability to hold a job should be questioned based on what his or her significant other does. On a final note- it looks like Prime Minister Netanyahu had a very pleasant trip visiting Africa this past week. He looked like he enjoyed it far more that he has enjoyed his recent trips to the US. He also seems to have improved our relations with the nations in the region significantly. So while I generally criticize him, his actions both in restoring relations with Turkey and improving our relations in Africa have both enhanced Israel’s strategic standing in the world significantly. So for once kudos to the PM. 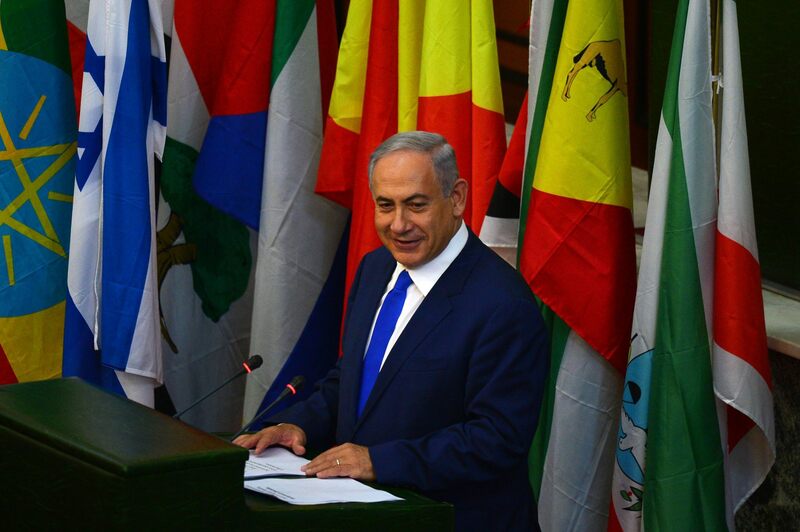 PM Netanyahu speaks before the Ethiopian Parliament.